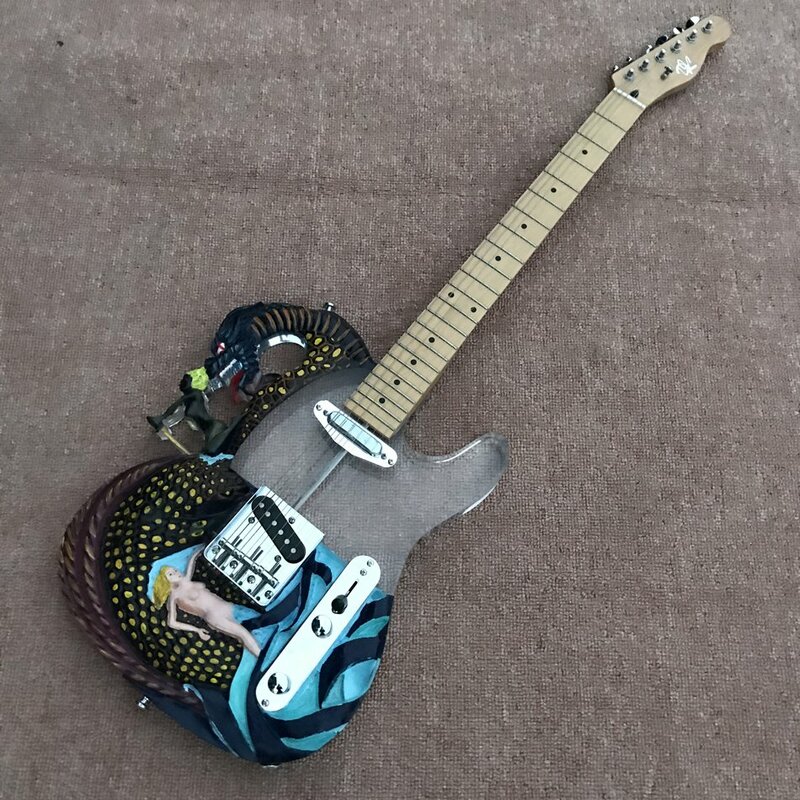 I've seen some ugly guitars in my time... but this one... wow. 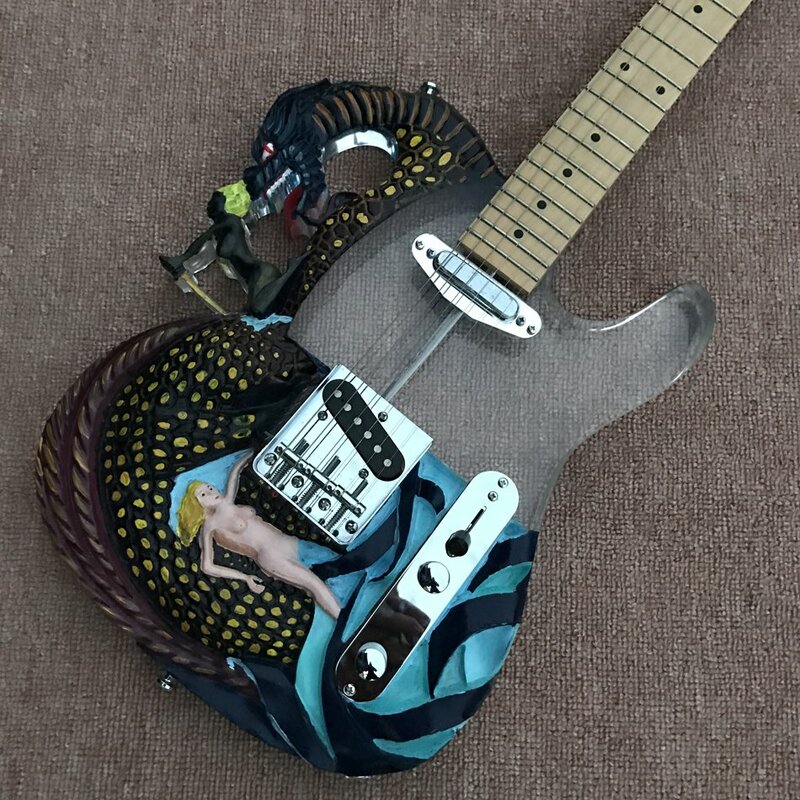 Yes, this guitar is really for sale at the time I write this. There are more photos of this beast below, but before getting to that, I'll describe what this thing is. 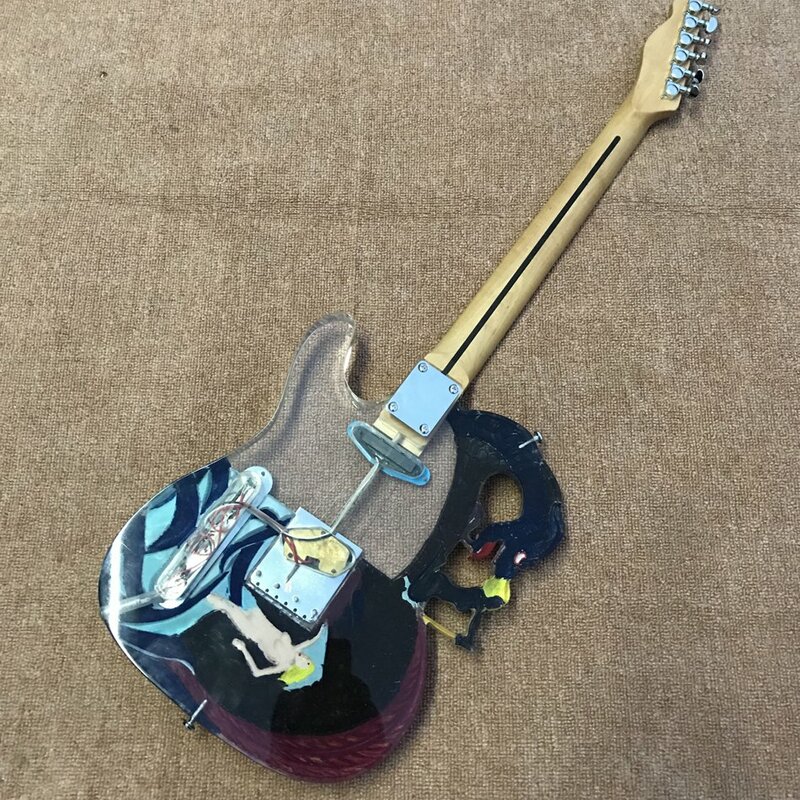 It's a Telecaster copy that has what looks to be a body made 100% from acrylic. The front half is mostly clear, except for the horn on top which appears to be have been hand-shaped to a dragon with the first of two naked chicks seen. The first chick is sitting on the dragon's back and holding a sword, so that's cool. However, she has webbed hands, and that's not cool. The second naked chick is behind the bridge, and the ocean below her appears to have eaten her leg. How sad. 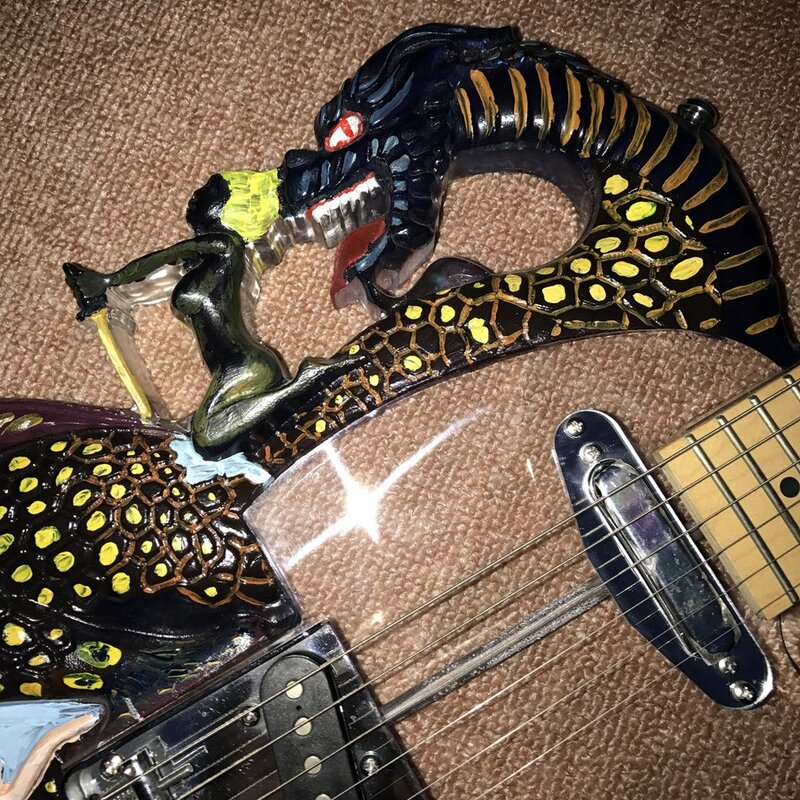 The rear part of the guitar has been shaped to resemble dragon scales. However, I cannot tell if those scales are painted or if each scaled has been shaped by the "artist". 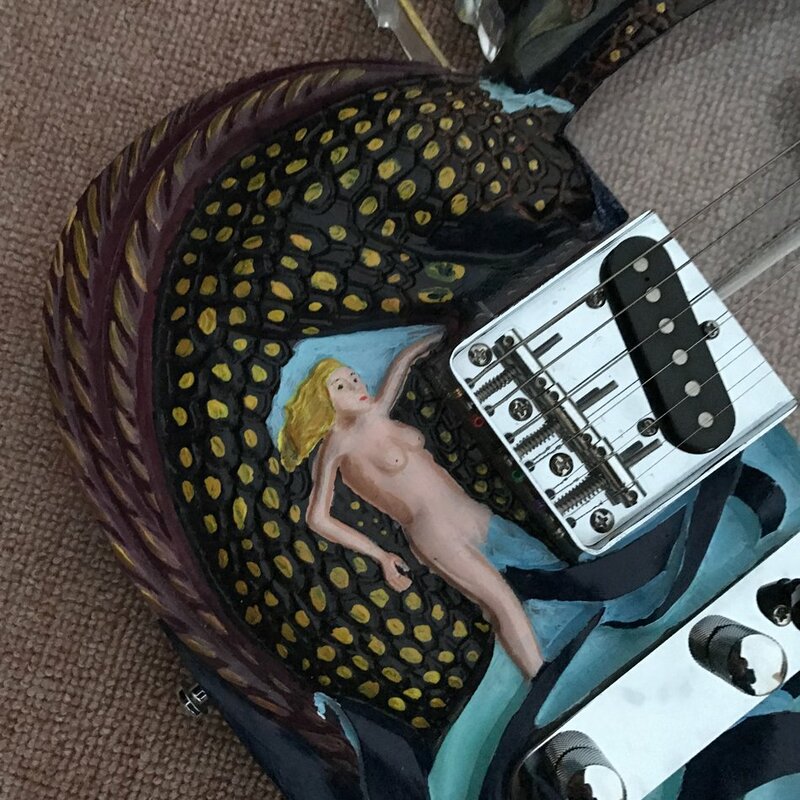 On the back of the guitar, is there a third naked chick? No. 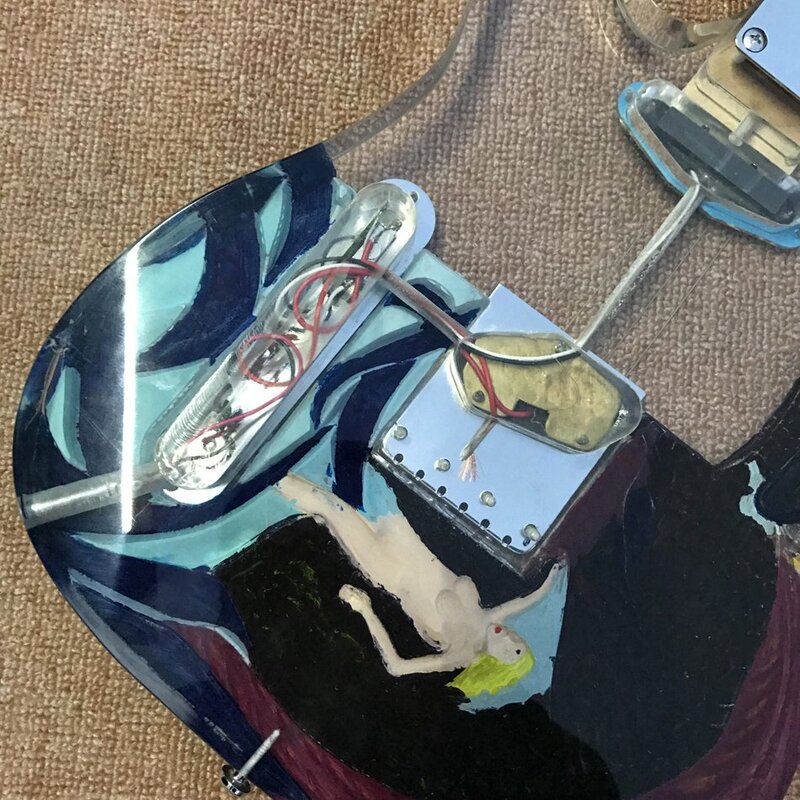 It's actually the second naked chick where you can see the paint through the clear acrylic body. 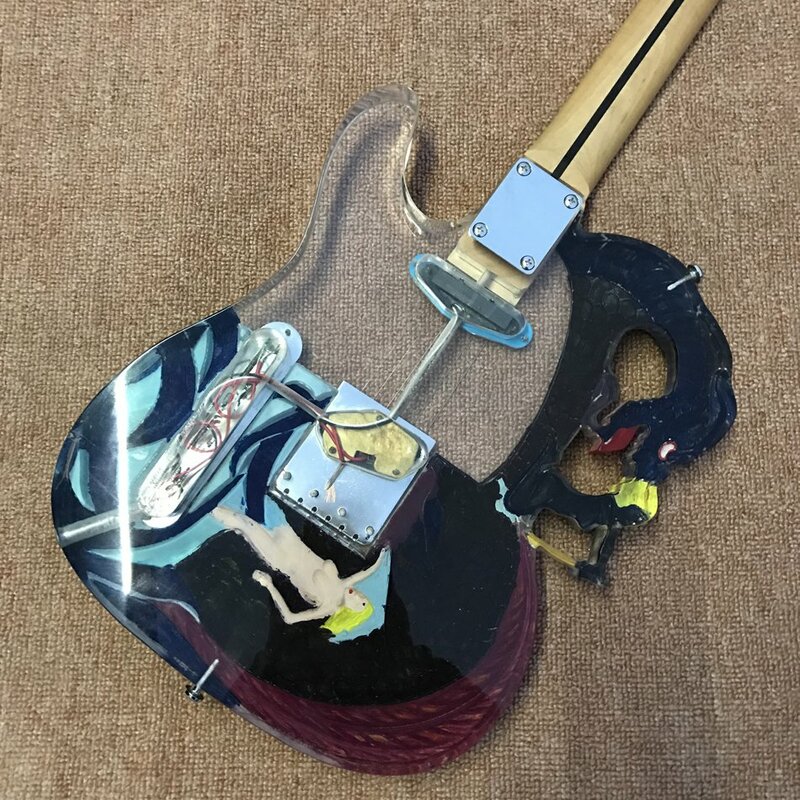 From this view we can see the guitar appears to have been wired properly, and the neck is a bolt-on, typical to Telecasters. Lastly, this guitar supposedly lights up, although I can't be certain. The title of the instrument claims it's an LED. Maybe it is, maybe it isn't... who knows?